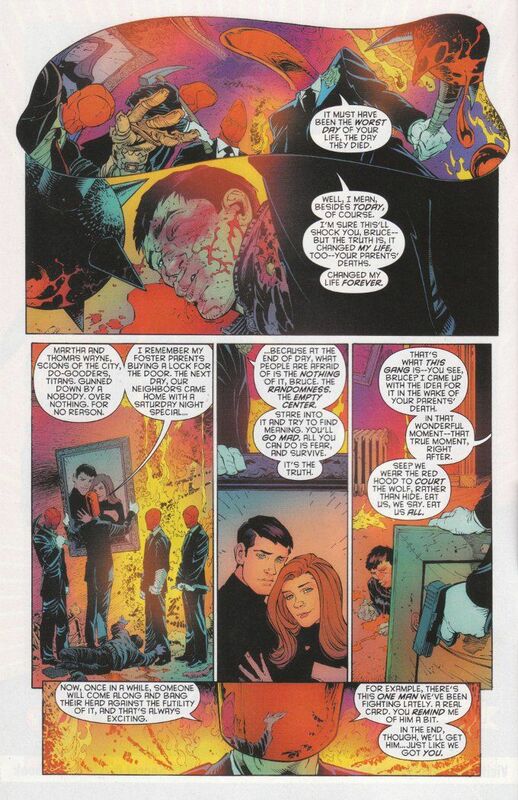 Batman: Zero Year continues to impress even as it renovates. Curiously, this series is doing less to define the past and character of Batman than it is to explore the history and motivations of his rogues' gallery. Then again, perhaps that isn't such a surprise given that Batman is defined as much by his enemies as he is by his history. If there were any doubts that Scotty Snyder's new take on The Red Hood was intended to be The Joker before he became The Joker, they were eliminated with this issue as we learn the nihilistic philosophy behind The Red Hood's crimes. I'm uncertain how to feel about how Snyder has tied The Red Hood's origins, albeit indirectly, to the same incident that inspired Bruce Wayne's war on crime. I do, however, approve of Snyder's revamped Riddler, who begins his career as a consulting criminal ala Jim Moriarty in the BBC Sherlock series. The back-up story by Snyder and James Tynion IV is brief but memorable. Another flashback tale of Bruce Wayne's travels around the world, this one finds Bruce Wayne learning the art of combat in what is meant to be a battle-to-the-death pit fight. "The Queen" who oversees the arena means to teach Wayne a lesson in how one must be ready to kill to be a warrior. Yet Wayne learns another lesson and teaches one of his own by issue's end. The artwork is amazing in both stories. Greg Capullo and Danny Miki give the greater part of the comic their usual stunning neo-Noir aesthetic. 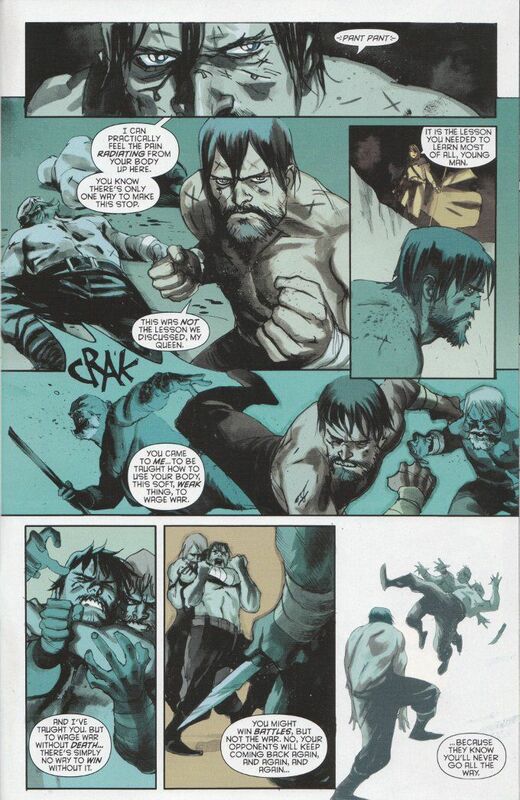 American Vampire artist Rafael Albuquerque goes even darker for his flashback tale, which almost looks like it was taken from a Conan The Barbarian comic. This book looks as well drawn as it is well-written and it should be required reading for all comics fans.